Welcome to the Ultimate Adventure: Thunder Mountain Motorsports! If you’re looking for a great way to enjoy some fun family time outdoors, Thunder Mountain Motorsports can provide exactly what you need! Located in Brian Head, Utah, it’s one of the best places to go for snowmobile tours in our area. Gather the children and head out for a great time exploring the beautiful backcountry! Before you grab your coats and safety goggles for a day with Thunder Mountain Motorsports, make sure you take a look at our Local Area Guide. It’s full of information about activities in Brian Head, Duck Creek, and Panguitch that your whole family will enjoy. Check it out, and begin planning your ultimate family getaway! Thunder Mountain Motorsports hosts professional snowmobile tours through gorgeous Brian Head, Dixie National Forest, and Cedar Breaks National Monument. Well-trained, skillful guides lead the way, making sure that you and your family stay safe during the excursion. While walk-ins are always welcome, reservations are encouraged, as tours sometimes fill up fast. Thunder Mountain Motorsports’ Scenic Snowmobile Tours are packaged by length. You can choose a short 1.5-hour tour, a thorough 3-hour tour, or extend your expedition with the all-day tour. The snowmobile tour fee includes helmets for all drivers and passengers. Other apparel can be rented if necessary. The renter/driver must be at least 16 years of age, and minors must have parental consent. Passengers must be a minimum of 3 years old. If you have your own snowmobile, feel free to tag along on one of the scheduled tours for just $20! Thunder Mountain Motorsports also has all of the expertise and tools to repair your machine, if you need it during your excursions across the mountainside. If your family is looking for a few more thrills after your snowmobile tour with Thunder Mountain Motorsports, there is no shortage of adventure activity in Brian Head. With feet of powdery white snow covering amazing slopes, it’s no secret that Brian Head Resort is home to some of the best skiing, tubing, and snowboarding around. 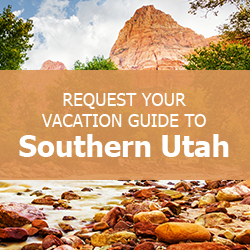 It definitely lives up to its designation as Southern Utah’s Winter Playground and accommodates winter sports lovers at all levels. Those who prefer a more relaxing winter sport should try ice fishing! Brian Head has 20 reservoirs, 9 natural lakes, and 10 creeks and rivers designated for fishing during the winter months. Just as you would with any activity, remember to put safety first! Check the weather predictions and ice thickness before you head out with your rod and line. When you and your family are ready to thaw out and enjoy some time indoors, make sure you do it at one of our gorgeous vacation homes! We have several properties conveniently located in Brian Head, giving you prime access to the wintertime activities that everyone loves. Filled with amenities and tastefully decorated, Family Time Vacation Rentals have everything you need to relax after a rousing day outdoors. Contact us today! We look forward to helping you make memories during your next family getaway!